Drop by to find out more about the work we do at NWT to protect our region’s wildlife – and have a go at some fun seasonal games and activities. Free event but donations are welcome to cover the cost of materials. Dress appropriately for the outdoors. All children under 18 must be accompanied by an adult. Come and explore our Nature Area, take part in pond dipping, mini beast hunts and watch the birds at the feeding station. This is a drop in event and all children must be accompanied. Please contact the Visitor Centre for more information 0191 281 2082. Build a wormery, then join us for a look around the Dene to see if we can find some worms and see what other mini-beasts might be hiding. Please bring an empty, clean 2 litre plastic bottle for your wormery. All other materials will be provided. Dress appropriately for the outdoors. All children must be accompanied. Please contact Northumberland Wildlife Trust for more information on 0191 284 6884. Tickets should be pre-booked. Come and find out more about the work we do at NWT to protect our region’s wildlife and have a go at some fun games and activities. Donations are welcome to cover the cost of materials. Dress appropriately for the outdoors. All children must be accompanied by an adult. 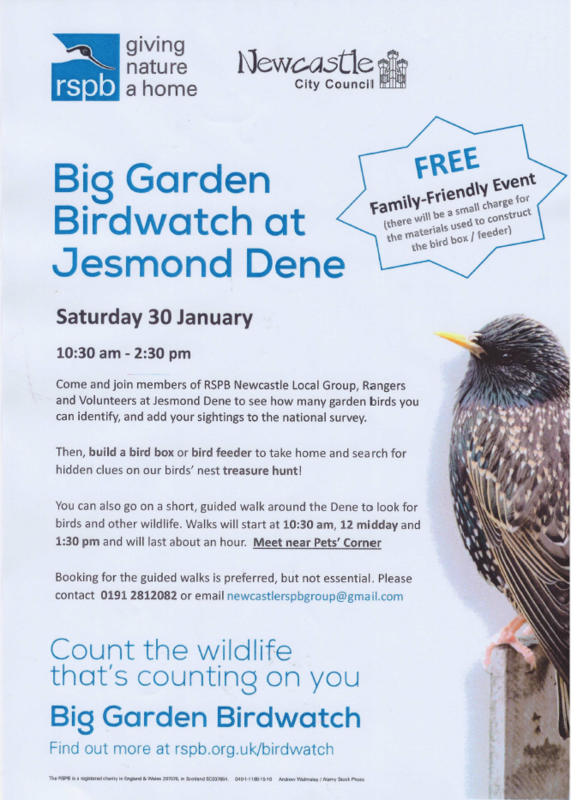 Please contact Northumberland Wildlife Trust for more information on 0191 284 6884 or book online. Explore the history of Heaton Park, on this guided walk in the company of volunteers who are passionate about the parks. Meet at the Pavilion. Booking essential. Please phone 0191 2812082 to book. Join the Rangers for some fun games and activities followed by learning to light a fire along with some campfire refreshments. Activities are aimed at 7-13 years. All children must be accompanied by an adult. Please wear appropriate clothes for being outdoors in the woods. Booking essential, please call 0191 2812082 to book and for more information. Come and meet the team and some of the animals from the zoo. Chat to the team to find out how you can sign up for an animal care or land based course here at Jesmond Dene and Kirkley Hall Campus. Explore the history of Jesmond Dene, on this guided walk in the company of volunteers who are passionate about the parks. Meet at the Visitor Centre. Booking essential. Please phone 0191 2812082 to book. This is a drop in event where you will be able to handle and meet some of the animals in Pets’ Corner. Learn about the different species of bats that live in the UK with a short talk and then we’ll set out for a walk and see which ones we can find, so don’t forget your torch! We will also be running a moth trap throughout the evening and we will have a look to see what has been caught on our return to the Visitor Centre. Suggested age 8+, children must be accompanied. Booking essential. Please contact the Visitor Centre on 0191 2812082 to book your place and for access details. We’ll go through the moth trap from the night before to see what we’ve managed to catch and try our best to identify them before letting them go. You can also try some pond dipping to see what creatures live under water in the Nature Area. This is a drop in event and you can stay as long or as little as you like. Please contact the Visitor Centre for more information 0191 281 2082. To celebrate International Dawn Chorus Day join the Rangers and Volunteer Rangers on this early morning walk through the Dene to listen to the delightful sounds of the birds. We’ll come back to the Visitor Centre for a breakfast roll, a hot drink and show you some footage of other wildlife in the Dene. Suitable for adults and older children (12+). Booking essential. Please contact the Visitor Centre on 0191 2812082 to book your place and for more information. Drop by either day and find out what the Friends and Volunteer Rangers get up to, how they help and support the parks staff in keeping Jesmond Dene a popular visitor attraction. There will be history displays, information about the archive project, the “Adopt a Plot” scheme, video footage of the wildlife in the Dene and history walks. The Visitor Centre and gift shop will also be open. Come along to Jesmond Dene and meet the Friends and Volunteer Rangers to find out what they get up to. We have various different volunteer opportunities: guided walks, practical sessions, bee keeping, events, archive project and lots more. We can show you more detail of our various activities and discuss how we manage them all. We’re also interested in hearing your ideas for other ways people can contribute to the well-being of the Dene, its wildlife and visitors. Do you have skills and interests you think we should know about? For more information contact the Visitor Centre on 0191 281 2082 or email parks&countryside@newcastle.gov.uk If you are interested in volunteering but can’t make this date, please get in touch and we will let you know other dates that you can come along to. Learn about the different species of bats that live in the UK on this walk around Heaton and Armstrong Park and Jemsond Vale. Don’t forget your torch! Suggested age 8+, children must be accompanied. Booking essential. Please contact the Visitor Centre on 0191 2812082 to book your place and for access details. Come and explore our Nature Area, take part in pond dipping, minibeast hunts and watch the birds at the feeding station. This is a drop in event and all children must be accompanied. Please contact the Visitor Centre for more information 0191 281 2082. Make a seed bomb to plant in your garden or in a plant pot to get some fabulous flowers of your own. Then we’ll have a look around the Dene to see what flowers are growing, who might visit them and why they’re important. All materials will be provided. Dress appropriately for the outdoors. All children must be accompanied. Please contact Northumberland Wildlife Trust for more information on 0191 284 6884. Tickets should be pre-booked. Learn about Robin Sheep’s cave and visit the Shoe Tree on this guided walk in the company of volunteers who are passionate about the parks. Booking essential. Please phone 0191 2812082 to book. Join the Friends of Heaton and Armstrong Park on this, one of their regular volunteer sessions. All tools will be provided, supervision by the Rangers and please dress appropriate for the weather. 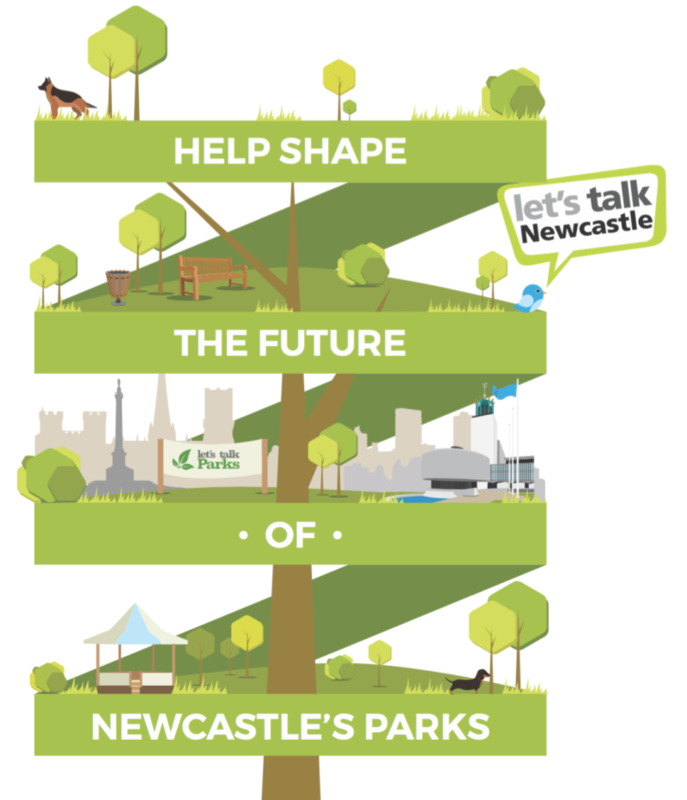 Please contact 0191 2650564 or email parks&countryside@newcastle.gov.uk to let us know you’ll be coming along. Keep an eye on the notice board near the park lodge for other volunteer dates. Join the Friends and Rangers to find out more about the past, present and future of Heaton and Armstrong Parks. The Friends will be offering refreshments and plants will be on sale to raise funds. Please contact the Visitor Centre for more information 0191 281 2082. Learn about St Marys Chapel and Well as well the surrounding area on this guided walk in the company of volunteers who are passionate about the parks. Booking essential. Please phone 0191 2812082 to book. Learn amazing facts about honey bees and beekeeping. Follow clues on a short trail to find out more, try on a bee suit and take part in other bug activities. Children must be accompanied by an adult. Please contact the Visitor Centre for more information 0191 281 2082. Heaton Park Guided walk – Mines, a Temple, Bears and much more! Explore the history of Heaton Park, on this guided walk in the company of volunteers who are passionate about the parks. Meet at the Pavilion. Booking essential. Please phone 0191 2812082 to book. Learn about the different species of bats that live in the UK, and then we’ll set out for a walk and see which ones we can find, so don’t forget your torch! We will also be running a moth trap throughout the evening and we will have a look to see what has been caught on our return to the Visitor Centre. Suggested age 8+, children must be accompanied. Booking essential. Please contact the Visitor Centre on 0191 2812082 to book your place and for access details. Join our fantastic guides on a walk through Jesmond Dene finding out about the past, present and future of this park. Find out about the Freeman Family and see some less well known sites of Jesmond Dene on this guided walk, in the company of volunteers who are passionate about the parks. Booking essential. Please phone 0191 2812082 to book. Come and plant some bulbs to take home with you and nurture. There will be nature trail, scavenger hunt as well as arts and crafts. Booking essential. Please contact the Visitor Centre for more information and to book your place on 0191 2812082. Join the Rangers and Volunteers in the woods, carve a pumpkin and other spooky activities around a camp fire. There will be hot chocolate, marshmallows and toffee apples too! Booking essential and all children must accompanied. Maximum 2 adults per child. Suggested age 5+. Booking essential. Please call to book your place 0191 2812082. Bring you own pumpkin lantern along with your spooky Halloween costumes and join us an evening walk through the woods – there may be eyes watching us from all sorts of places and you never know who we might meet on the way! We’ll return to the Visitor Centre for pumpkin soup and hot chocolate. Minimum age 6 years. Maximum 2 adults per child. Booking essential and all children must be accompanied. Please call to book your place and for more information on 0191 2812082. Come along and learn various wool craft skills such as spinning, knitting and crocheting using wool from NWT sheep that graze our meadow sites. This is a free, drop-in event as part of the Save our Magnificent Meadows project. Build a wormery then join us for a look around the Dene to see if we can find some worms and see other mini-beasts that might be hiding. Please bring an empty, clean 2 litre plastic bottle for your wormery. All children under 18 must be accompanied by an adult. £5 per child, accompanying adults free but please book a place online. Drop by to find out more about the work we do at NWT to protect our region’s wildlife and have a go at some fun games and activities. Just look for the big green NWT gazebo! Free event but donations are welcome to cover the cost of materials. Dress appropriately for the outdoors. All children under 18 must be accompanied by an adult. in order to discuss the future of Jesmond Dene and its built heritage, in particular Jesmond Dene Banqueting Hall and Fisherman’s Lodge. Dene, the School of Architecture, Planning and Landscape at Newcastle University, and the Tyne & Wear Building Preservation Trust. 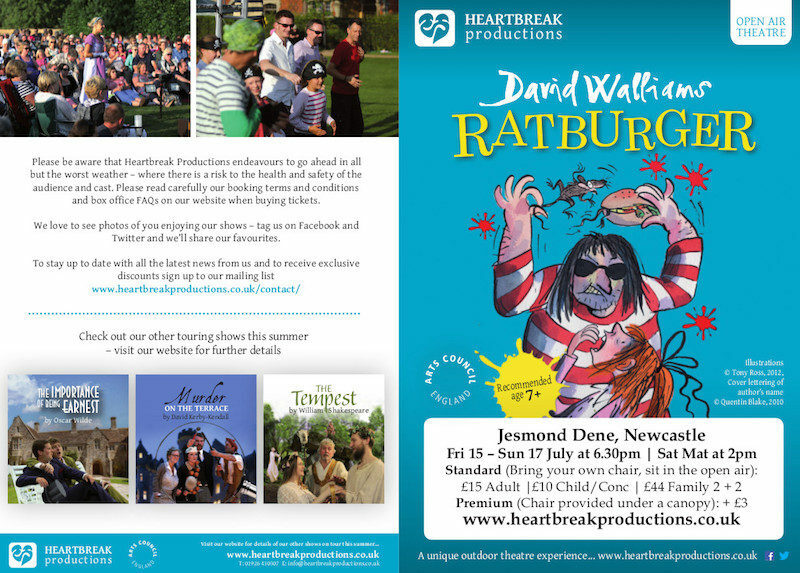 creative and productive future for both Jesmond Dene and the Banqueting Hall. Ouseburn Visitor Centre, Jesmond Dene – drop-in interactive session, 2–5pm. Bewick Hall, City Library, Newcastle – open evening, including a short presentation, Q&A and interactive session, 6–8.30pm. “We are particularly looking for architects, planners, landscape architect, but also people with financial/business planning/delivery expertise, people who can provide useful, hands-on input and are ok to work collaboratively?” said a Trust statement. In 1883 Sir William Armstrong gave Jesmond Dene park and several buildings in it to the people of Newcastle in perpetuity. Now the park and the buildings have reached a turning point in their history. Supporters of Jesmond Dene working in partnership with Newcastle City Council would like to hear your views on options for the future of these precious public assets. How often do you visit Jesmond Dene? • What are its best and worst features? • What are your top three priorities for Jesmond Dene? • How could the Banqueting Hall and Fisherman’s Lodge be used for the benefit of everyone in Newcastle? Please invite others to share views and ideas! FREE family event, Saturday 30th January. Meet near Pets’ Corner at 10.30am. Build a bird box or bird feeder to take home; or go on a short, guided walk around the Dene. Big Garden Birdwatch is an RSPB event.